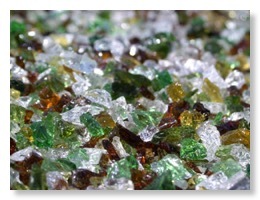 The controversy on the use of crushed glass in filters continues within the specialist trade. While PWTAG (the Pure Water Treatment Advisory Group) claims it needs more proof that glass is a viable alternative to sand, there is now a claim that companies are trying to pass off waste crushed glass as AFM, the Activated Filter Media manufactured by Dryden Aqua. Dryden Aqua claims: "There have been many companies referring to their product as activated, by plagiarising our technical information and even using our grading structure of grade 1, 2 & 3. We provide a similar waste crushed glass product to these companies but we use it as a soil conditioner. "AFM is a completely different product and is certified under the UK Government drinking water registration and audited by independent consultants. "This requires very strict manufacturing and product quality standards to insure that AFM is safe. Our external consultants are one of the leading companies in the European water industry and they have confirmed that on balance, AFM is safer than filter sand." Dryden Aqua referred crushed glass products to the Health & Safety Executive two years ago, and a risk analysis report was presented. It has taken sometime but our fears are now being realised and people are being hurt by waste crushed glass products in swimming pools. Any pools using uncertified and unregulated crushed glass are therefore at risk and we recommend that the media is removed and replaced with good quality filter sand or AFM. 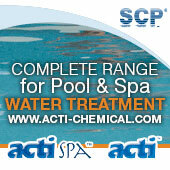 AFM represents only part of a pool water treatment system, and gives a fundamental shift from a mechanical sand filtration to a physic-chemical AFM filtration process. It is important to have a balanced system operated by trained personnel. When an AFM system is provided as an integrated package, Dryden Aqua guarantees to reduce the chlorine oxidation demand on any public pool by more than 75%, and in some cases by 90% reduction. Tighter water and air quality conditions will soon come into force, says the company. "The UK HSE (Health & Safety Executive) have advised us that all pools should have a COSHH analysis for nitrogen trichloride in the atmosphere. The limit for nitrogen trichloride in France is 0.5mg/m3, soon to be reduced to 0.3 mg/l. There is no limit in the UK, so it is up to the individual pool operators to set the limit and monitor the conditions. This is the first step for the public swimming pool industry to help insure the safety of the public and pool staff. 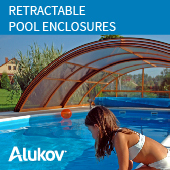 It will simply not be possible for pools to comply with crushed glass or a poorly designed and managed water treatment system."